Athlete's foot causes itching and burning sensations that can be extremely difficult to manage without professional care. 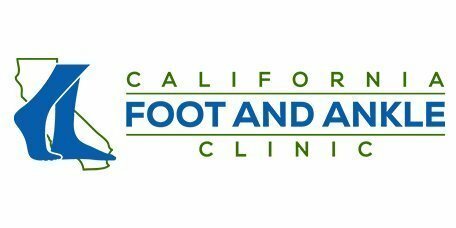 At California Foot and Ankle in Riverside, CA, Dr. Sahand Golshan provides cutting-edge care for patients with athlete's foot, helping them manage symptoms and prevent recurrence. Athlete's foot is a fungal infection that affects the feet and toes and causes itching and burning sensations accompanied by peeling and flaking. The infection develops when tiny fungal bodies enter the skin through very small cuts, abrasions, blisters or other small openings in the skin. The infection can occur anywhere on the foot, but it primarily affects the skin between the toes where moist, damp conditions provide the ideal environment for fungal growth. How Does Athlete's Foot Infections Occur? Athlete's foot infections can be easily spread through contact. Walking barefoot in gym locker rooms or gym showers or around public pools or hot tubs can significantly increase the risk of “catching” athlete's foot, and the fungal infection can also be spread by using towels or wearing shoes or socks of someone who's infected. People who have diabetes or other conditions that affect circulation and people with compromised immune systems are also more prone to athlete's foot infections. Before treatment, the feet will be carefully examined to ensure the condition causing the symptoms is athlete's foot and not another condition. Usually, diagnosis can be made with a visual exam, but in some cases, a skin scraping may be taken for further evaluation. Treatment involves routine use of prescription topical antifungal infections designed to penetrate to the deeper layers of tissue where the fungus is rooted. In some cases, oral medications may also be prescribed, especially if the infection is severe or if topical medications are ineffective. Keeping feet dry and cool is also important, and wearing shoes or sandals in public areas like gym locker rooms and showers can help prevent the infection from recurring. Can I Use Over-the-Counter Medications to Treat the Infection? Over-the-counter medications typically are not strong enough to penetrate to the deeper layers of tissue, so while they may alleviate symptoms initially, eventually fungal growth will continue and the symptoms will recur. Seeing a doctor is the best way to get rid of the infection and its symptoms.